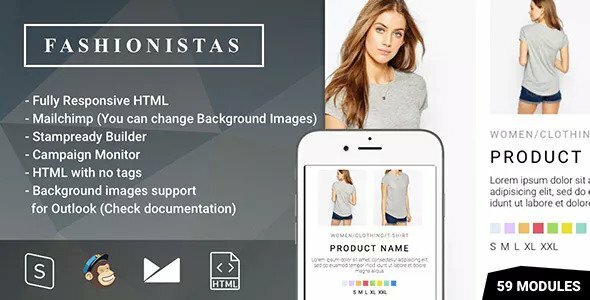 Responsive Fashion E-mail template for ptomoting your, products and services. 59 Modules in order to design the ideal newsletter for your needs. Modern, minimalistic, easy to customise and ideal to gain new clients or customers. Our template is compatible with Mailchimp, Campaign Monitor $ Stampready. All the features of each platform are fully suppirted somethin that make the customization of the template really easy.